The week before Christmas some friends came to Paris. I offered to show them some fun shops. 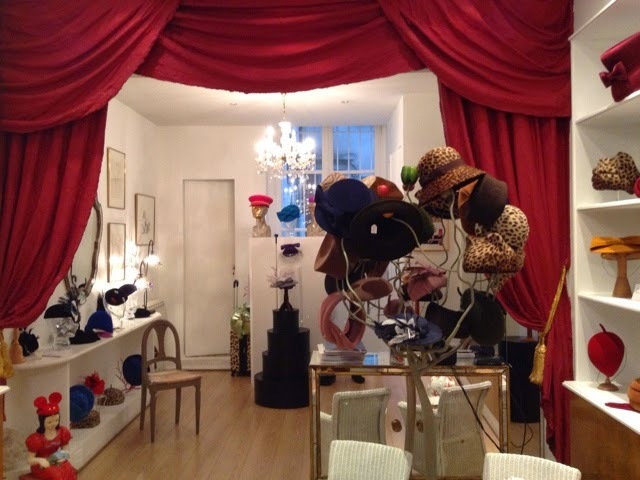 Chris is French so I knew she'd love this imaginative hat shop in the 6th. 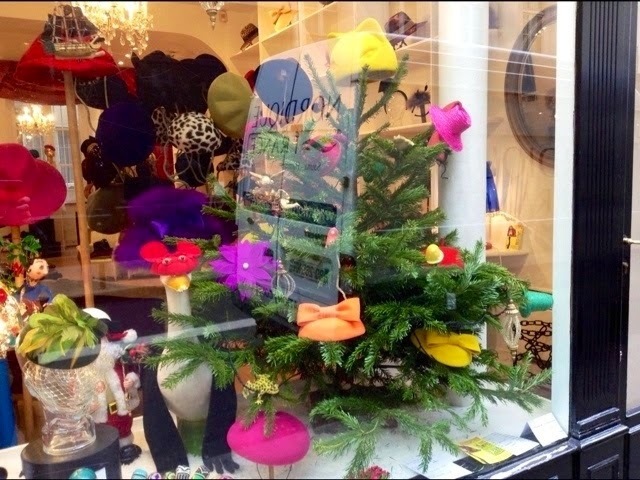 Remember I showed you this hat Christmas tree? Both Chris' husband and I said we were too intimidated to go inside. Her husband wandered off somewhere. 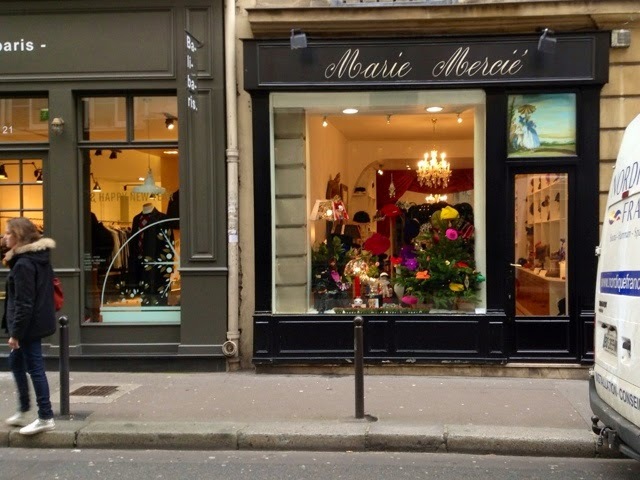 Chris says this shop is what the French call 'fantasia'. And full of fantasia it is. 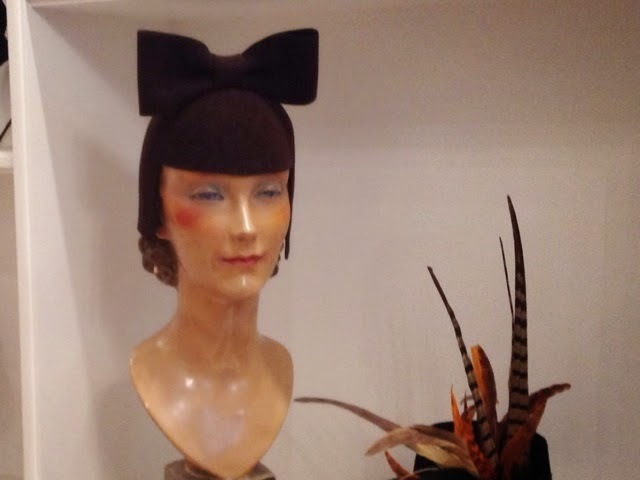 A lovely retro yet contemporary bow hat. 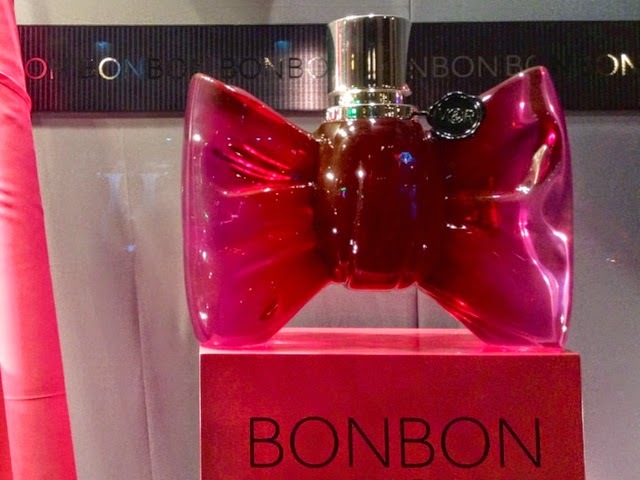 Did the designer see this bow Bonbon perfume? But bows are everywhere in French design. I was busy taking in all the wonderful designs. Like visiting someone's apartment that happens to be full of hats. 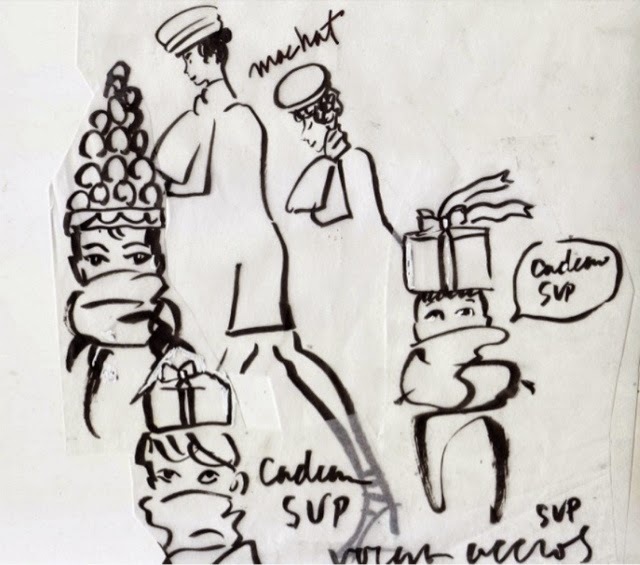 Designer Mercie is good friends with artist Hippolyte Romain. He designed her business card. Meanwhile Chris asked, "Do you have a hat for me? 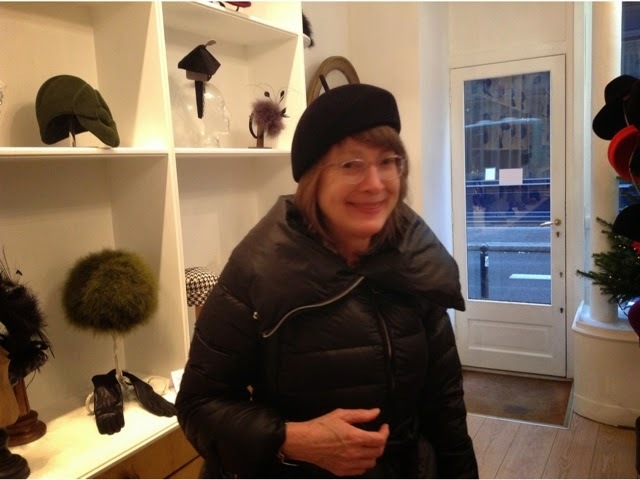 Immediately the vendeuse picked out the perfect sculpted beret-style hat for her. I was oooing and ahhing with enthusiasm. "This is the perfect hat for you. It finishes you to a T...Utterly chic...bla de-bla bla bla". Chris was more pensive. Especially when we heard the price tag. She decided to think about it. We met her husband waiting outside. 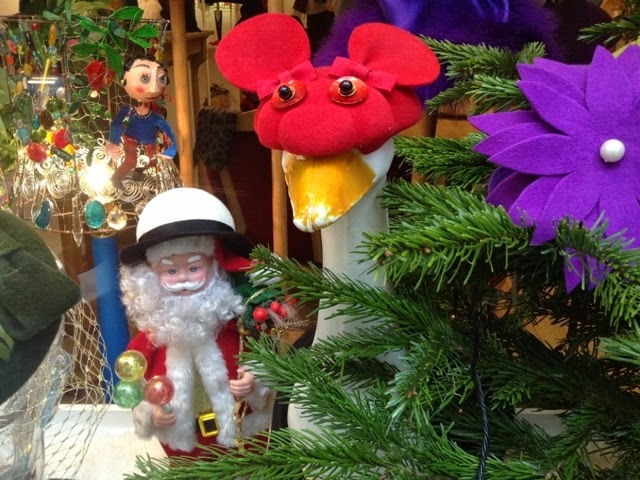 Then we went on browsing more shops leaving him to go to the jardin Luxemburg. 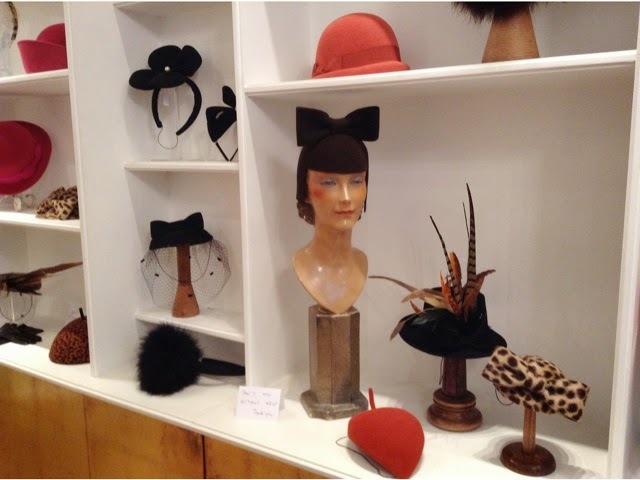 Don't these pastry shapes look perfect for hats? For some reason I'm not the least bit intimidated going into patisseries like elegant Gerard Mulot. 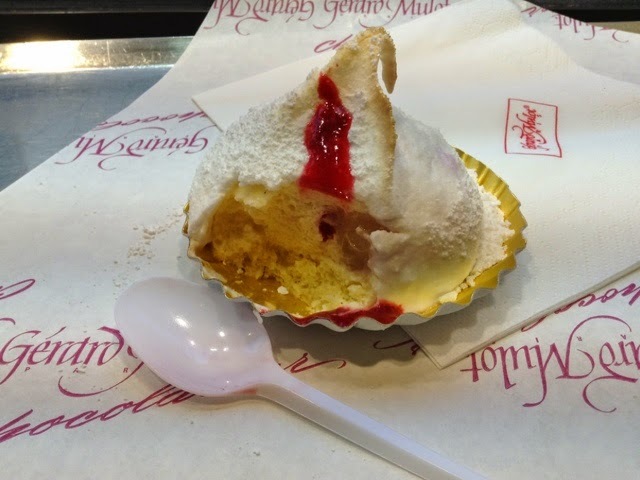 I got the boule de neige(snowball) filled with meringue and red fruits. I wish I was more intimidated. When Chris returned home her husband had a surprise for her. The hat! 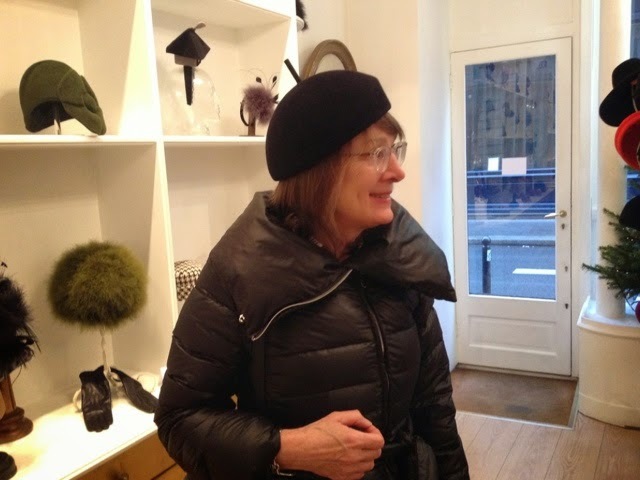 He said the vendeuse wasn't the least bit surprised when he popped in and asked to purchase the hat Chris liked. She said she wore the hat all night till they went to sleep. 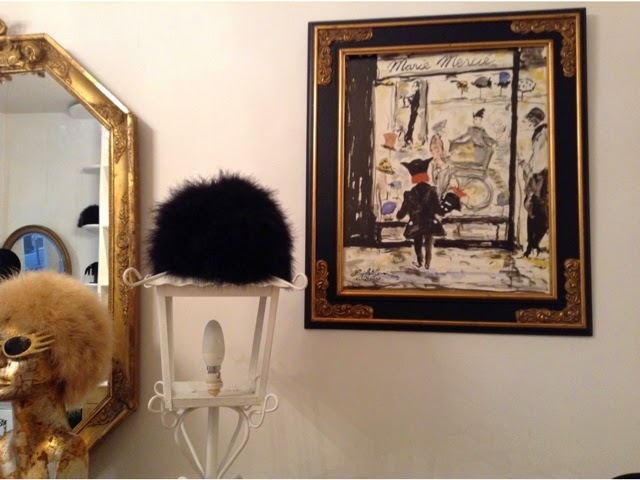 I love my Marie Mercie hat ! I got it one day I was feeling a bit depressed, and it was the best cheerer-upper ever. What a divine straw hat! Like Chris's husband, my husband would much prefer to go to jardin Luxemburg ... just to sit and while away the hours. See I would be totally intimidated to shop in that store..
Too..something for me..Not a comfy place..striking and clean and fancy..but..I can feel it from here. The hat does suit Chris to a "t". It's an absolutely charming shop just the way it is Monique. Which I totally lack:) Truly..especially hats and the face etc..shoes not so much! 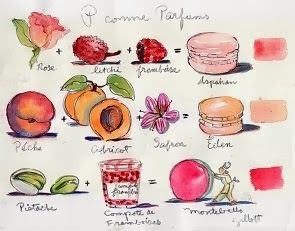 There is a vast difference in the price tag in a patisserie and Hermes that's for sure! Plus you can eat it right away and no one knows how frivolous you were. The Hermes on rue de Sevre is much less intimidating to visit. I've never been in the one on rue St. Honore..too chicken. Oh Carol! What wonderful sources. I have been on a hat quest for a year and love some of the ones I see here. 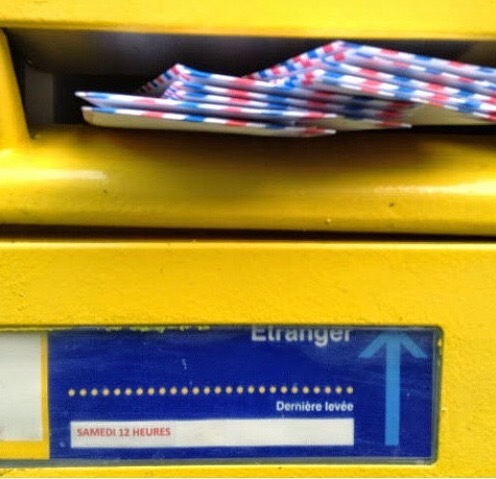 Merci!!! 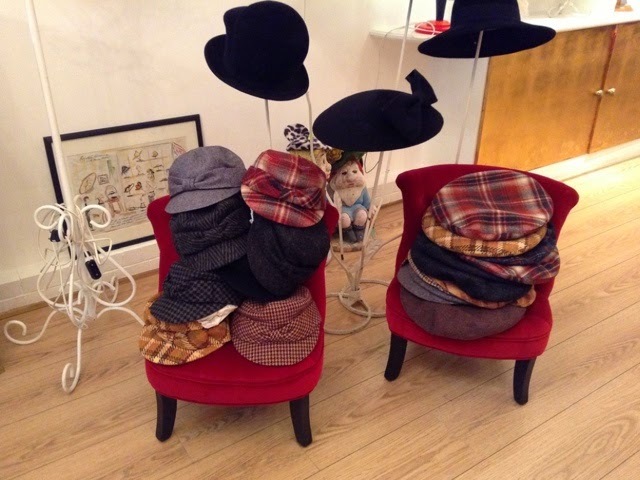 There was a hat store near rue Cherche-midi where I stayed 2 years ago. I always wanted to go in but was trop timide. Chris' hat really suits her. What a lovely gift! This is lovely! This husband is a hero to us all and his story has been shared with a certain someone that should take example!!! A giant among men. What a sweet man. I want my man to be like him. Carol! I love all your posts, but this one, from the hats to the boule de neige to the romantic husband -- it has to be one of the best! Thank you! the saving grace of the French Pastries seems to me to be their petite size. I have begun having my meals on a salad plate and it makes me realize just how much food a dinner plate can hold. And weirdly when I finish I feel as though I have had enough. I eat on a 'salad plate' too. I don't know Chris but I love that man! 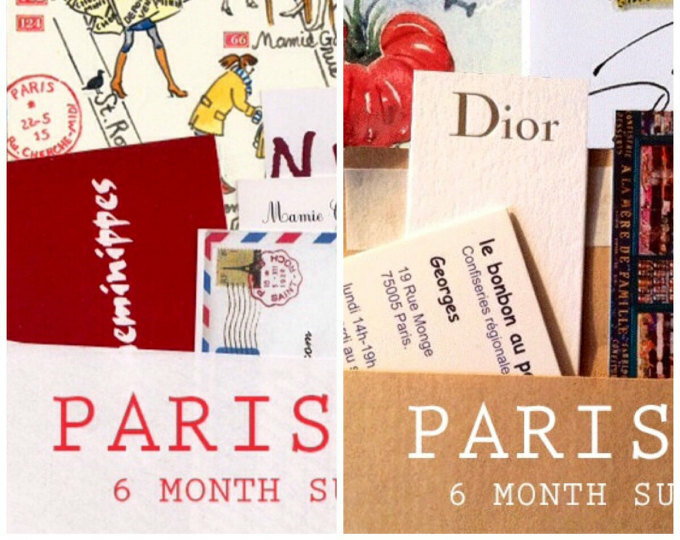 I don't know you either but I love "Paris Letters" and your blog and your photos and your style and everything. 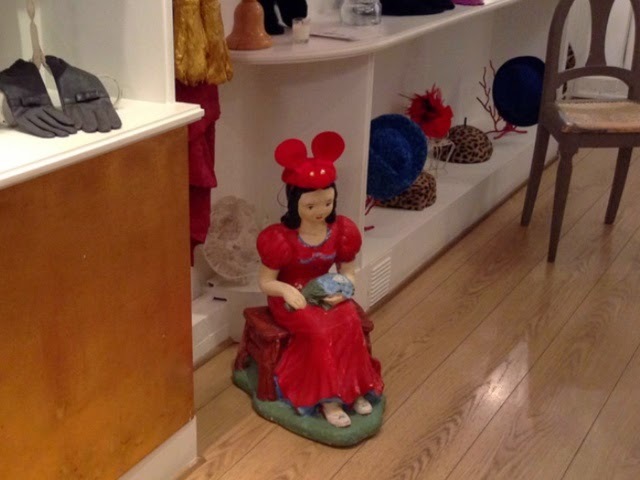 Carol, the hat shop has such a variety of styles to play with. I think it would be more fun to visit if I were not the only shopper/browser. 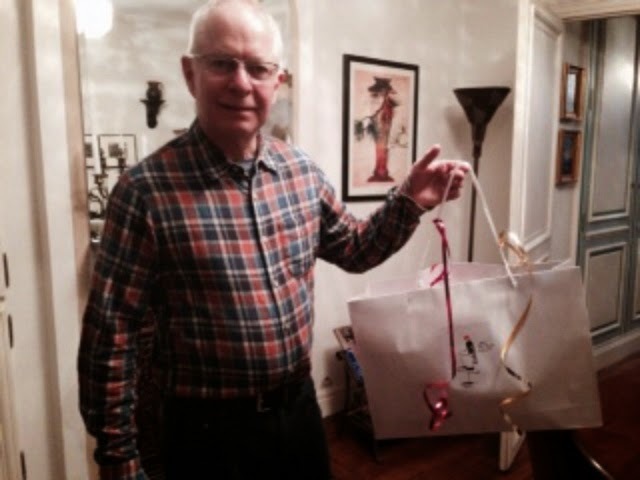 How wonderful that Chris's husband had his own secret errand to take care of while you all continued perusing shops. 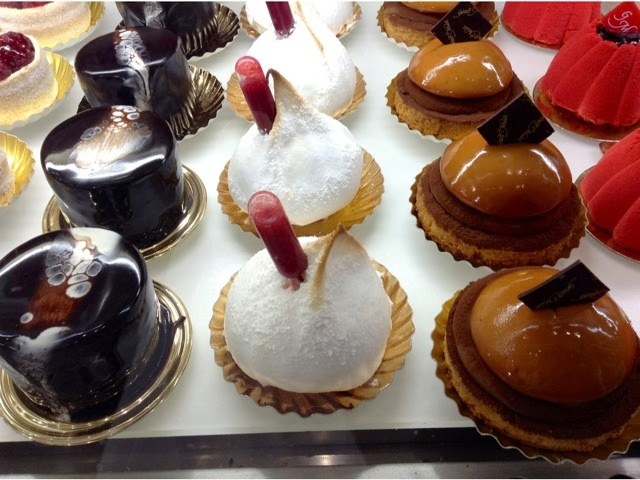 Those pastries look like hats to me! Do you wear a hat???????? He IS a nice husband. My hubby is so wonderful, too. He cooks for me. Here is my bit of advice for any singles who commented here. If a man will cook for you then he must be generous and just might be a good bet! I wonder if any shop might not be quite so intimidating if one spoke the language well? I know what the feeling is though. Did I read somewhere that the city of Paris was going to start a campaign to try to make its people more friendly and less intimidating? I think I did. I have to Google that. What a sweet man! What woman doesn't like a surprise like that? Wonderful story. Love this story, though I never wear hats (my head is too small). Also love French pastries & PB - you always manage to make me smile, Carol. I agree, a great story. I love how bright the photos are - no sign of "Paris Grey." Hi Carol. What a romantic story with the husband buying the hat. Oh how sweet of him to do that. The hat does look very fetching on her. Loved seeing the shop. I will add to my list of must visit shops for next trip. Happy New Year Carole and still so sorry about the murders still praying for Paris and for peace. 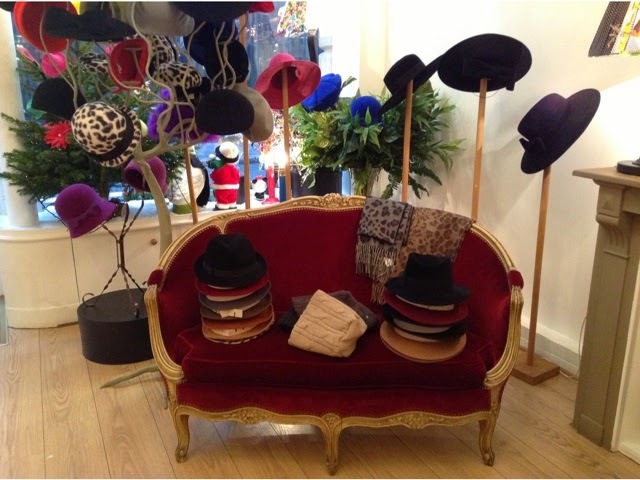 I've never felt very hat inclined but I could be persuaded in this shop! Wonderful hat, it really was perfect for her. What a sweet guy to buy it! 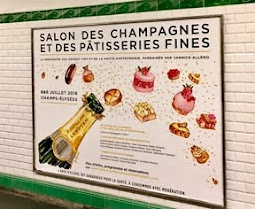 I'm with you, though, I'll spend my dough on pastry any day. A man after my own heart ..... what a jewel! And it is the perfect for her, one she will treasure forever. What a cute post! 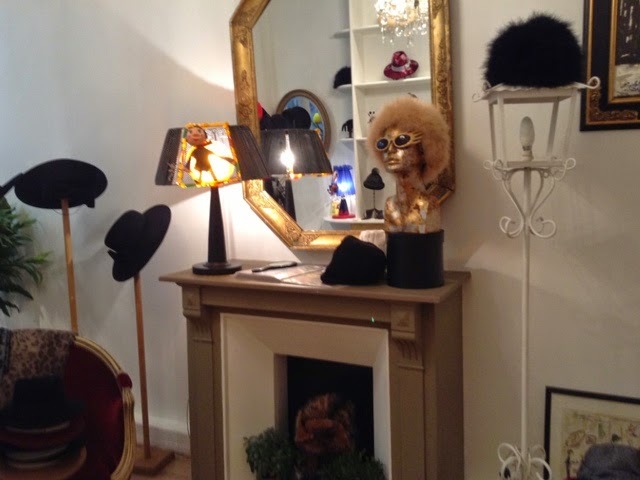 The pictures of the shop are so great. 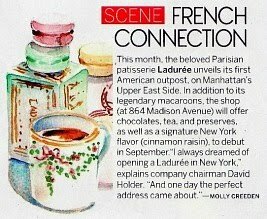 Made me even more homesick for Paris. And yes, I am holding on to my husband with both hands. 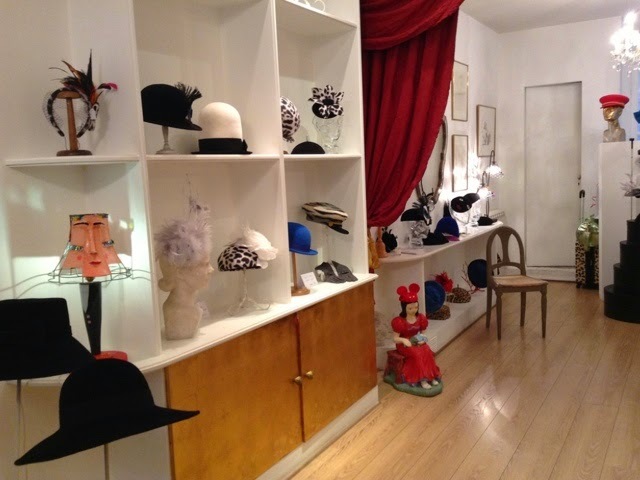 There is one quote I like to share from Philip Treacy, a hat designer from Ireland. "Making a hat is like throwing a party!" Lovely story. I did share the comment with my husband about the husband who cooks. My husband loves to cook. I know I am lucky. 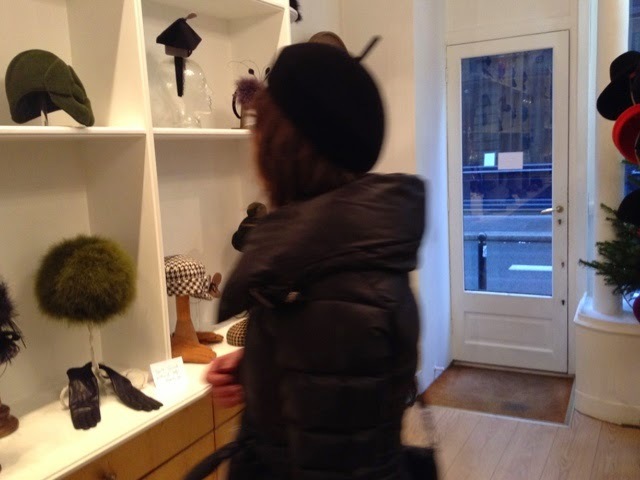 However, buying the hat was so thoughtful. Chris looked fetching in the chapeau. (hope I got that right) Carol, be safe. Trop mignon cette histoire !! ... so cute !!! Catching up on posts .... Love this guy! I have sketches (of the outside of that shop) and a story. It sure does catch one's attention. I also didn't dare to go in...or maybe I did for a wee second & then snuck out..Very sweet husband.